In this issue: an alien enemy bent on destruction, a wily band of space pirates, and a devastating plague that threatens the last remnant of humankind. All that plus new fiction from P.C. Hodgell set in the world of the Kencyrath series. With the world consumed by a devastating plague that drives humans violently insane, what was once a band of desperate survivors bobbing on a dark Atlantic ocean has now become Wolf Squadron, humanity's last hope for salvation. For Wolf Squadron's leader Steve Smith that means one thing: retaking the mainland from the infected. 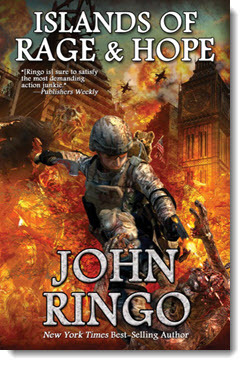 A new entry in the nationally best-selling Black Tide Rising series from New York Times best seller John Ringo. Get Islands of Rage and Hope eARC here. Magic and Mayhem on Two Worlds! As war breaks out on Elfhome and riots rock New York City, twin geniuses Louise and Jillian Mayer must use science and magic to save their baby brother and sisters. But when they come face to face with an ancient evil force, the plucky nine-year-olds will soon find themselves over their heads and in grave danger. The latest entry in the Elfhome series from Romantic Times Sapphire award-winning Wen Spencer. 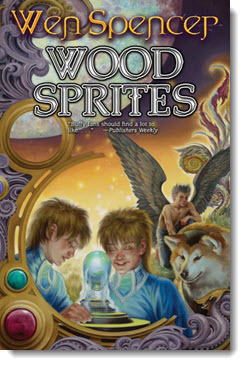 Get Wood Sprites eARC here. War has erupted and Earth's fleet has been shattered by an alien sneak attack. The survivors fight for their lives as reluctant interstellar diplomat and intelligence officer Caine Riordan contends with a non-humanoid enemy that harbors the harrowing memory of a long-past war they will do anything not to face again—even if that means the end of the human race. Book two in the Caine Riordan series, and sequel to Nebula-nominated Fire with Fire. 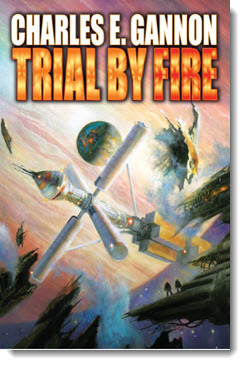 Get Trial by Fire eARC here. A Song to Save the Land! The disgraced court poet Wolver Grimly never paid much attention to the baroque politics of Kothifir the Cruel. After all, what were they to an artist? 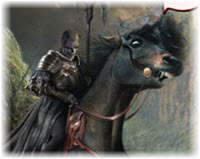 But that was before a chance encounter with Highborn Kencyrath Torisen plunges him into the middle of a conflict that could determine the fate of the land. 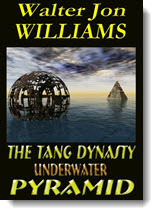 All new fiction set in the Kencyrath series, with latest entry, The Sea of Time. Read Songs of Waste and Wood by P.C. Hodgell here. The Price of Peace. The Cost of Freedom. The men and women who fight for peace know its true cost—to a country and to the individual. Utah Army National Guardsman and former USMC Field Artilleryman Jonathan LaForce is one such man. He chronicles his time in Afghanistan and ponders what it means—what it takes and takes out of one—to be a professional soldier, as well as the true reward of service. Read “Blooded by Starlight” by Jonathan LaForce here. Fascinating conversations with your favorite Baen writers about the books you love. 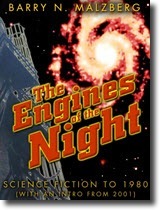 Coming up: an interview with Michael Z. Williamson on the new edition of his novel Freehold, an interview with long-time Ring of Fire series cover artist Tom Kidd, Eric Flint and Charles E. Gannon on the latest Ring of Fire series entry 1636: Commander Cantrell in the West Indies, Ben Bova and Les Johnson on their planetary space travel novel Rescue Mode, P.C. Hodgell on her new Kencyrath series entry The Sea of Time, Larry Correia on his new Monster Hunter novel, and David Weber on the 21st Anniversary of his second Honor Harrington novel, The Honor of the Queen, with a new signed leatherbound edition on the way—and much more! David Weber’s best-selling book series is now multi-platform entertainment with a comic, mobile game, film, and more. Check out the latest issue of Tales of Honor, a five-part comic based on Weber’s On Basilisk Station. Click here to download a free preview of the first issue, buy the comic, and watch a video on the adaption process. There’s more! Honor can also be found in a gaming app for Apple devices here and coming Thursday, May 22, the gaming app for Android devices debuts. Find out more here. The Weirdest Drinking Establishment in the Universe! Here you will meet such not-so-regular customers as: Councilman Maguire, who brought his own leprechaun with him from Ireland. Mrs. Vacarescu and her husband the were-dachshund. And Mr. Murdoch, who borrowed a very small dragon to rid his apartment of mice and lost it. The gods of Atlantis are powerful and real. And they’re determined to destroy the kingdom ruled by the father of Prince Vakar, the one man whose mind they cannot read. 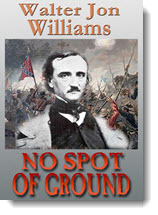 After years of civil war, the genius of Edgar Allan Poe is nearing the breaking point. Tortured by memories of his dead wife and his dead hopes, Poe finds himself holding a key position against Grant's assault, and must decide whether or not to sacrifice all that he still loves in service to a dying cause. Nebula Award-winning author Walter Jon Williams serves up a glorious novelette-sized mashup of intrigue, cutting-edge biotech, Aymara Indian spies, ninjas, Andean folk music, and a tetrahedal menace from beneath the sea. 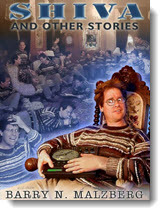 Twenty-two tales by a mythologist for the new millennium! Barry N. Malzberg shows that neither super-science nor djinni magic can prevail against human folly. A wry and brilliant collection by one of the greatest social critics in science fiction. What are the seminal works of science fiction? Can science fiction kill you? Barry N. Malzberg ponders these and other questions about the genre. His answers are brilliant, unequivocal, and surprising. Updated with a 2001 introduction, this Nebula award-winning collection is an essential and enduring history and critique of a fascinating and problematic genre. Get the Electricstory Barry N. Malzberg Bundle here. Nulight, a notorious underground record company owner, emerges from an obscure Berlin night club realizing that an alien invasion is imminent. Or is he hallucinating? To save humanity, Nulight must decide if the aliens are real or not – and if they are, what to do about them. Zaïdmouth’s five communities are intertwined by artificial flower networks so complex they combine to create the virtual realities through which Zaïdmouth is run. Yet into this vivid world a bad seed is about to be sown. Two sisters on the run, both pursued by their mother, the powerful Empress of Ghana. But no one can predict what might happen should their mother succeed and the family be reunited, least of all if it is inside the mysterious region known as Muezzinland. A plague is spreading through the city of Cray. Cray is dying—of glass. When Subadwan the Archivist is chosen to explore a land she never knew existed, she finds herself at the center of a plot which threatens to shatter the very nature of reality. There is one city left, and soon that will be gone, for Kray is crumbling beneath a wave of exotic and lethal vegetation that threatens to wipe out the last traces of humanity. The President has been kidnapped by terrorists and is about to be executed, unless the Marine Corps Rapid Deployment Force can use unproven trans-atmospheric technology to launch the most daring rescue ever. New collection of 23 stories, all told in the first person, by Mike Resnick, science fiction’s leading award-winning author, living or dead. The first volume in the expanded four-volume epic of a prehistoric world recreated on an alien planet from New York Times bestselling author David Farland. Book Two in New York Times bestselling author David Farland’s epic Serpent Catch series. Tull, a reborn Neanderthal, must capture sea serpents to save his people. Book 3 of the Serpent Catch series. Slavers capture Tull and his family, and he must face the challenges of the Dark Arena to save them. The climactic volume of the Serpent Catch series. Tull leads an uprising against the slavers and, even more dangerous, overthrow the evil machine intelligences that created the artificial prehistoric world. Don’t forget to check out the Baen new book releases here. Enter the April Contest here. 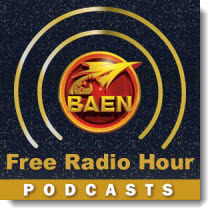 And for upcoming appearances by Baen authors and editors, check here.